From the moment we arrived in Savannah, we knew this place was special. The humidity was high just as mid October fell & while we were greeted with a few cooler days during our stay, most of our time in Savannah was warm & sunny. 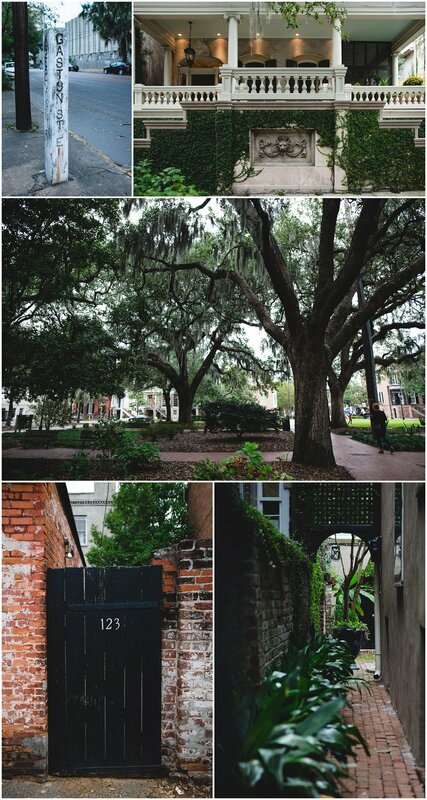 We walked cobblestone streets, lined heavy with old trees blanketed in Spanish Moss. They were perfect for keeping the sun at bay during our strolls. Every so often, we’d catch ourselves pausing at an old, wooden door or iron gate & snapping a quick picture we’d ponder - what stories this place must have. For our time in Savannah we were so fortunate to have our amazing friend, Marissa, come to assist us. Not only is Marissa such a dear friend, but her ability to intuit what our guests or we needed before we even asked was such a blessing. Whether she was refilling water cups, putting the kettle on for tea, sharing tips on editing or gathering foliage for our table scapes, the weekend wouldn’t have been complete without her presence. She truly blessed each & every one of us & there aren’t enough words to thank her for being apart of our retreat. And thanks to her suggestions, now we all get to practice our big belly laughs to loosen up before we get in front of the camera! The historic home we stayed in during our time in Savannah was the perfect gathering space. Three floors of beauty & design. Exposed brick, a claw foot tub, original fireplace mantels & hardwood floors made it easy to feel inspired in the beautiful space. During the day, we relaxed on the main floor while we taught the morning & afternoon education. In the evenings, we’d set the table with fresh linens, light our candles & sit down for dinner. Passing dishes & filling wine glasses, we’d laugh at stories from the day & pause to reflect on how quickly we felt we’d all become friends. Our meals were prepared by our private chef, Caitlin, whose emphasis lies in filling, fresh & healthy fare. We were treated to dish after dish of locally sourced ingredients with special attention given to every detail. We enjoyed abundant, vibrant salad greens, hearty roasted sausage stuffed squash & a divine maple, walnut crusted salmon that we continued to talk about on until the next day. 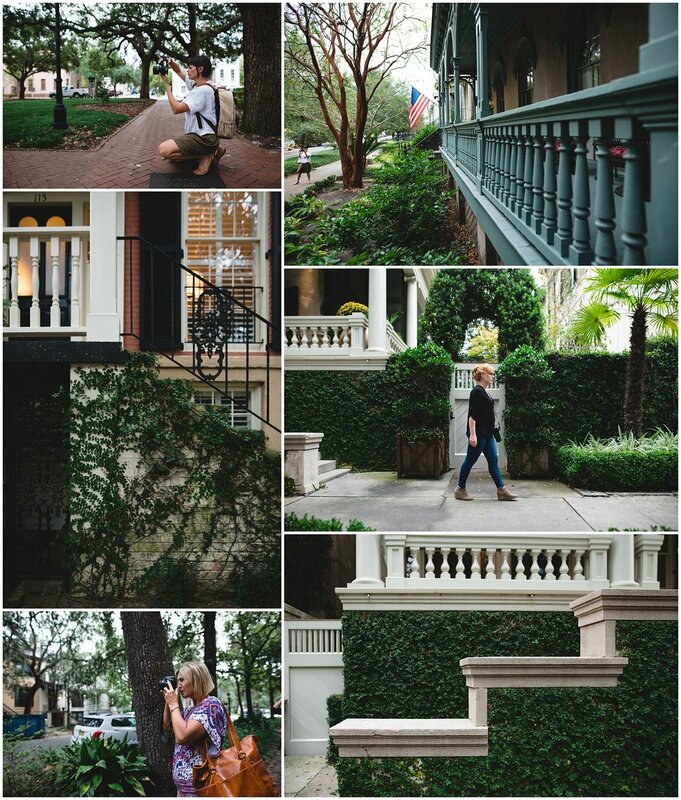 On Friday, we ventured out of the house for a photo walk through the historic district of Savannah. We strolled city streets & small parks while looking for light in every available nook & cranny. 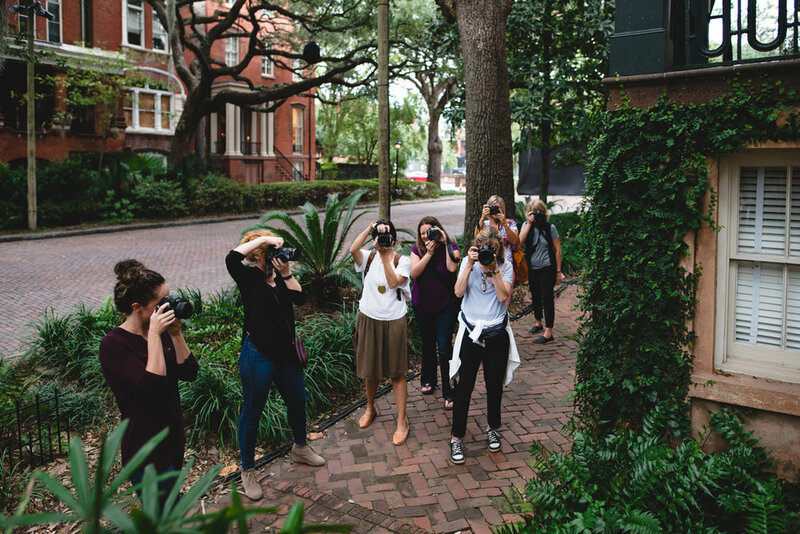 Our photo walk was a wonderful opportunity to not only see more of Savannah, but also to practice our practical skills photography focusing on settings, light & composition. Ending at Forsyth Park, we all took turns taking pictures of the stunning Forsyth Park Fountain. Built in 1858, the fountain remains the heart of the park. Surrounded by benches occupied by both locals & tourists, it’s the idyllic photo opportunity for any visitor. After dinner on Friday evening, we ventured out for a walking ghost tour. 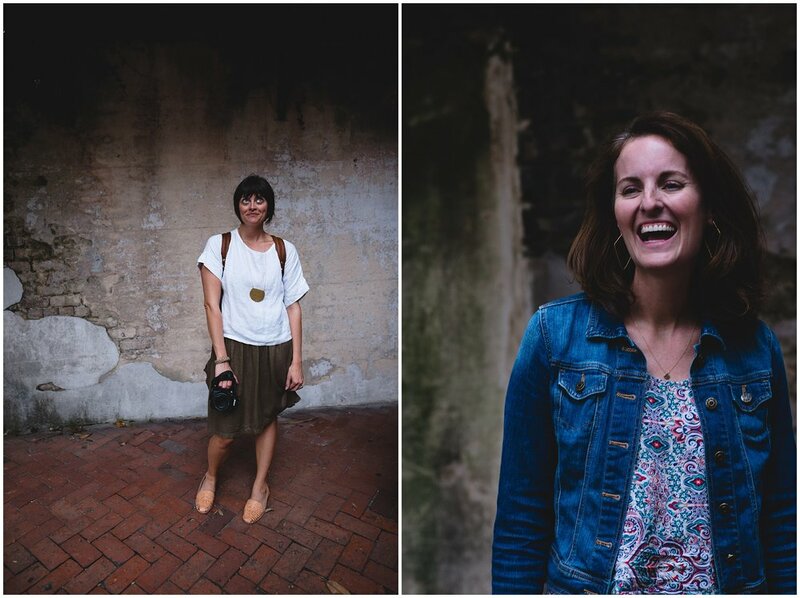 For two hours we wound ourselves through city streets, listening to stories about the darker history of Savannah including several known ghosts & haunted buildings. Never ones to take ourselves too seriously, we all had a few giggles. Saturday brought a beautiful, warm, sunny morning with blue skies. Perfect for our hour yoga in Forsyth Park. Christine from Dancing Dogs Yoga helped us stretch & relax as we focused on heart opening poses with a calming guided meditation to close our session. We all walked back to our house feeling refreshed & restored. After we freshened up from yoga we dove into editing in Lightroom & shared our favorite tips & tricks for both organization & getting the most consistent edits. This ended up being so engrossing for all our students, we actually decided to come back to editing after dinner one evening! Sipping glasses of wine & nibbling snacks from the day we found ourselves sitting on couches & the floor of the living room, chatting about editing long past dark. 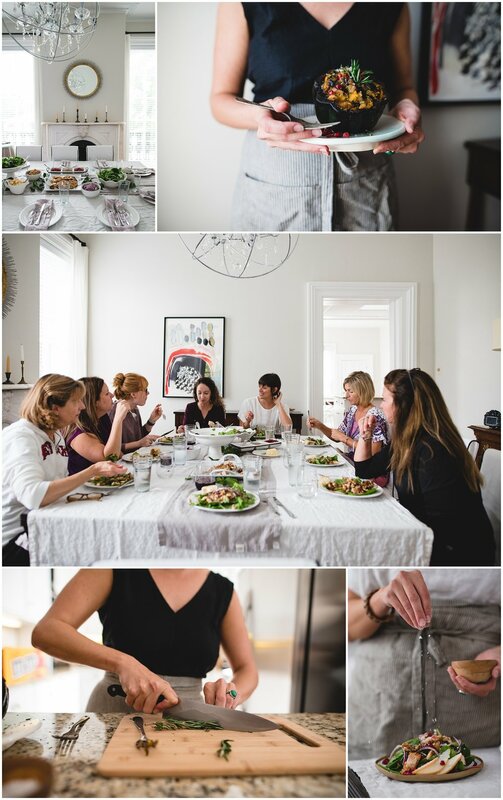 After our Lightroom session we enjoyed some early afternoon storytelling & food styling with a charcuterie board. We’d been so fortunate to find an amazing butcher, by word of mouth, in Savannah & before our guests arrived we’d loaded up on beautiful cheeses & savory meats. We easily spent an hour pondering over crackers & nuts, dried fruits & blue cheeses! The food styling also gave us an opportunity to work on our dramatic lighting, learning how to use overcast, directional light to achieve moodier, more contrasted images. Saturday late afternoon we wandered back into the heart of Savannah & visited the legendary Leopold’s ice cream shop. What the locals say is true! The line is long but it moves fast! Our whole group was in in about 10 minutes flat with a variety of ice cream to taste & share. Sunday morning brought our final, casual breakfast where we all felt comfortable to stay in jammies & sip coffee a few minutes longer before beginning our farewells. When it was time to bid each other goodbye, we hugged, laughed & promised to keep in touch. Our weekend would not have been complete without our generous & amazing sponsors. Our sponsors are a huge part of helping us welcome each guest personally in the most memorable way. 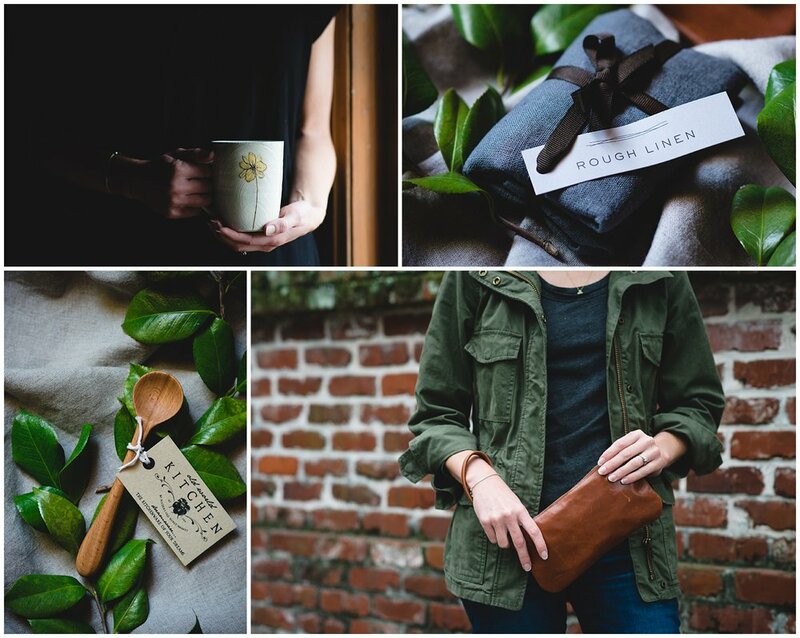 Satchel is a locally Savannah & female owned, custom leather-goods shop with everything designed & made in house. Beautifully crafted with attention to every detail, each guest was given a distinctly different, stunning Piper wristlet. Pots by Jen is a hand crafted ceramics shop in the heart of Wichita Falls, Texas. Every Daisy mug was lovingly sculpted specifically for each one of our guests. With elements of polish & raw materials, Jen’s ceramics are a beautiful addition to anyone’s home ceramics collection. Polder’s Old World Market is a family run, hand carved kitchen utensil shop in the mountains of Virginia. 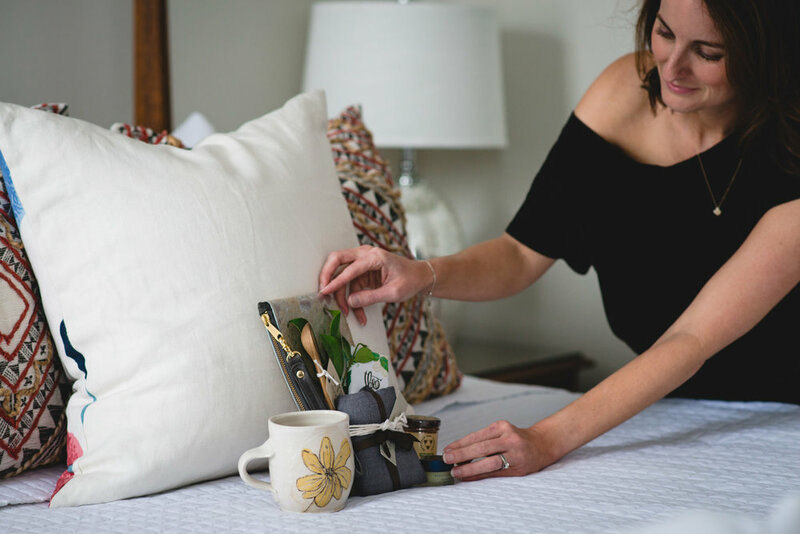 The Polder family crafts their Dreamware to not only be functional but beautiful & last a lifetime. Each hand carved piece is in-scripted with the Polder name & the year it was made. Rough Linen is a female owned linen maker out of California. As well as luxurious bed, table & clothing linens they also make the perfect linen washcloths. The charcoal linen washcloths are not only perfect as a face cloth - they provide a very gentle exfoliation - but they are also the perfect travel cloth. Quick drying & easily packable, they keep you from getting dark makeup or mascara on any hotel or guest towels!